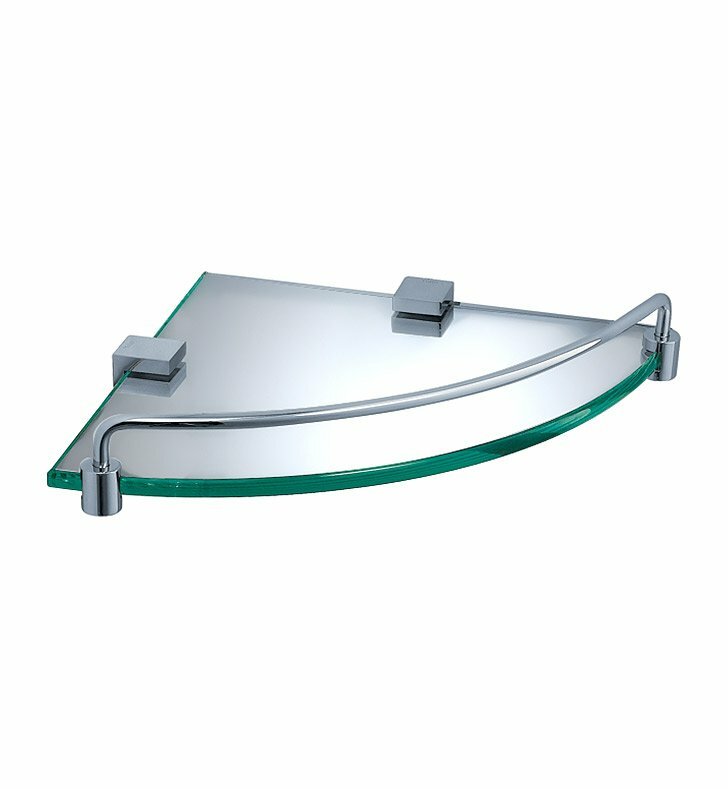 Create additional space in your bathroom with a wall-mounted Fresca Ottimo Corner Glass Shelf in Chrome, part FAC0448. It's ideal for storing bathroom items in a shower or above a bathtub, or for displaying decorative items. The thick bathroom glass shelves are securely attached to the sides, and the mounting hardware is easy to use. Raised chrome rails add a decorative touch, and all non-glass components are forged from solid brass. Your brass glass shelf measures 11 3/4" W x 8 1/4" D x 1 7/8" H.
Should last a while. I'm thinking about getting a second. A country of origin label would have been nice. Nice item, easy to install, looks as displayed. Great for storing shower gels and soap dish. Perfect size for small shower stall.